Genealogy research has been revolutionized by the Internet. 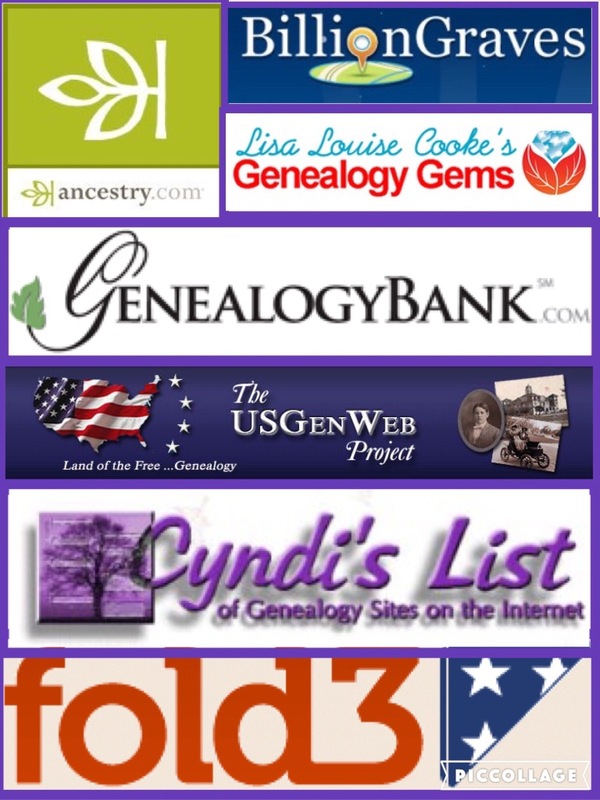 There are literally thousands of websites to help you do all kinds of genealogy research. But I just discovered a new kid on the block called HistoryGeo. Last May at a booth in the exhibition hall of the National Genealogical Society Annual Conference, I found what I believe is the newest next best thing in genealogy research. It is a time saver and just plain fun to use. Actually, it has been around for a couple of years, but it is new to me and to several other people I’ve told about it. The booth was called HistoryGeo. I love maps so I was drawn to it like a moth to flame. The gentleman working there saw that I was interested as I gazed at the computer screen and its map. He asked me what county I was from, and I told him Jefferson County, Florida. I’m Southern and I might live in Leon County, Florida; but I’m from Jefferson County, Florida. He went to the main page of historygeo.com and typed Jefferson County, Florida. A map of my county magically appeared showing all the county’s first homesteaders in a bar on the right. I was instantly hooked. He didn’t know it, but he had me at hello. So I asked him if he could see what land my ancestor Jesse Walker might have homesteaded. I have all the deeds for the property he owned but have only looked up the location of two pieces of property. He quickly found one of the pieces of property, and there it was on the Old Salt Road and Hartsfield, one piece of property that I had already looked up. What I didn’t know, though, was that my fourth great-grandfather Jesse Walker was the original homesteader for this property. The maps were very easy to read. They were marked with current roads so that one can see exactly where one’s ancestor lived. What a neat website. Someone has done this throughout the entire United States. Well almost. Next I asked him for South Carolina, Colleton County, where Jesse lived in 1827 before coming to Florida. I found out that they have not done South Carolina for reasons I’ll explain later. What a great service, though. 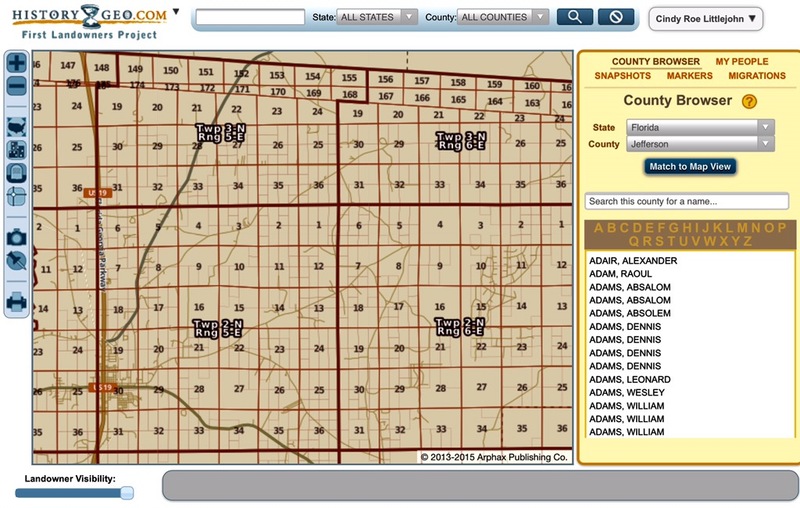 I had planned to map all of my family members’ properties in Jefferson County anyway, but for a subscription it has already been done with all the first time landowners for me. Several of my ancestors were first time landowners or homesteaders in Jefferson County. As before, having earlier done this for two of Jesse Walker’s properties, I know how hard it was to map it. This new subscription will be quite a time saver. So what exactly is HistoryGeo? It is a family history software service for linking old maps and land records to your genealogy research. 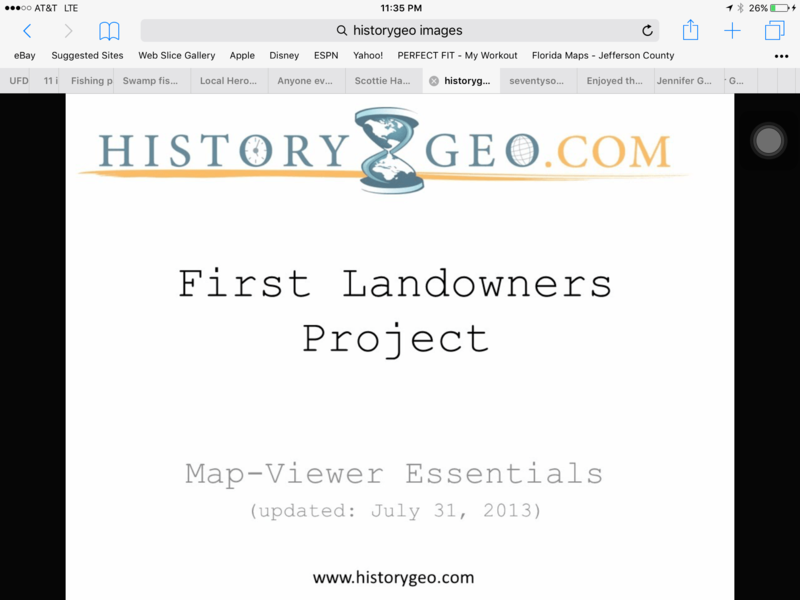 This is their revolutionary first landowners project. These maps are for the public land states in the continental US plus Texas. So this is why there was not a map for South Carolina as South Carolina’s land was granted before the Revolutionary War by the King of England. HistoryGeo maps, though, do cover 29 states and over 9 million records. 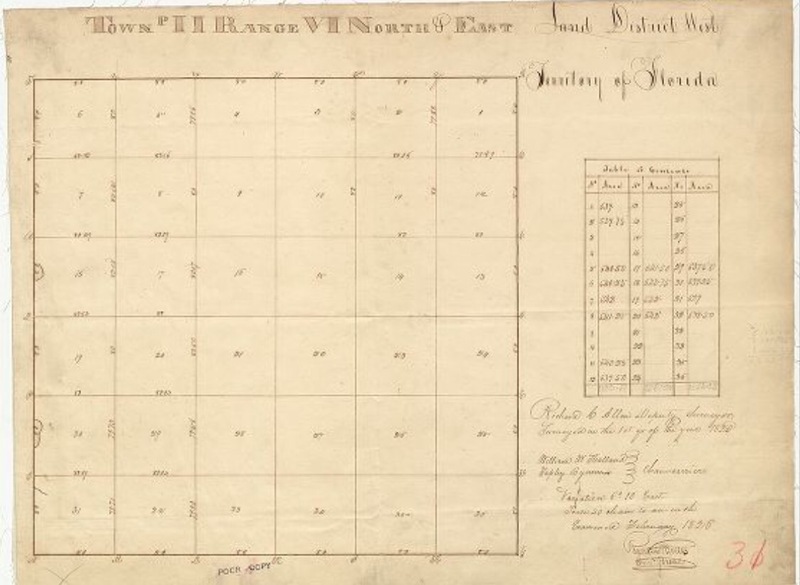 There is also a place where they have compiled and indexed hundreds of thousands of landowners from a constantly expanding collection of nearly 4000 maps. Subsequently, there is an antique map collection available as well online. Also printing can be done plus there is a mobile browser. You can search by state and county and/or by surname. 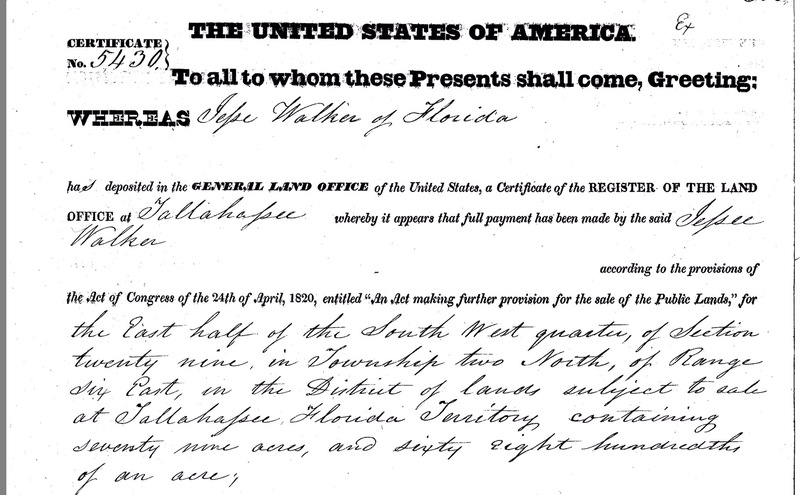 When you find a homestead you want, you click on it and search farther for the source document, US Bureau of Land Management Records records if appropriate, original surveys, etc. In a nutshell HistoryGeo provides an online map library and allows you to personalize maps, annotate them, connect your research to the maps, chart migrations and collaborate with others. The part about charting migrations intrigues me the most. You’ll be able to create animations of family migrations and other geographic events. You can attach custom map markers, links to other web pages and best of all your own images. You can even use it to collaborate with other genealogy researchers. I subscribed on the spot, but didn’t get a chance to do any searching on my own until I got back home. 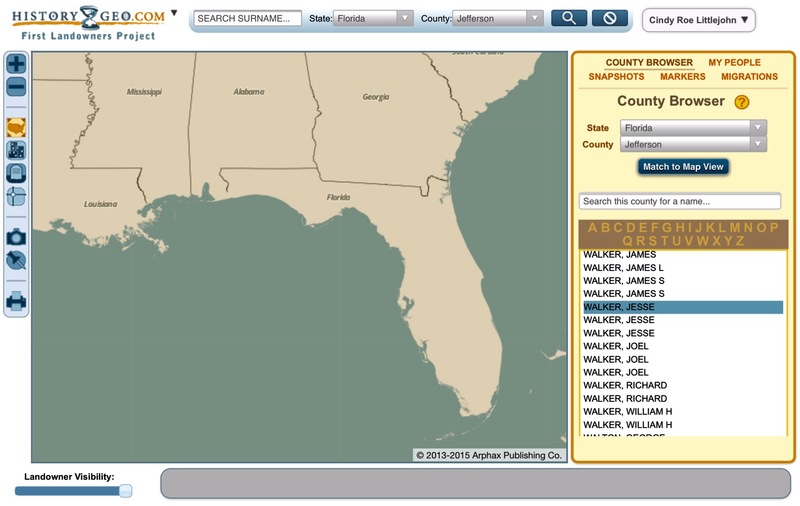 Again, I clicked on Jefferson County, Florida and was brought to the map that shows the townships and ranges and an alphabetical list of all the homesteaders. I found that I can easily click anywhere on the map to see the owners or scroll through the list of owners on the sidebar. The result was information about the land record. It showed all the details related to where the land was located and has links to view this spot in Google Maps, or links to the BLM (Bureau of Land Management) source or the actual document. This website is awesome. It even contains Native American Land Allotments. There are tutorial videos on their website showing one how to use the site. Even if you don’t care to do genealogy research, check out this website anyway. 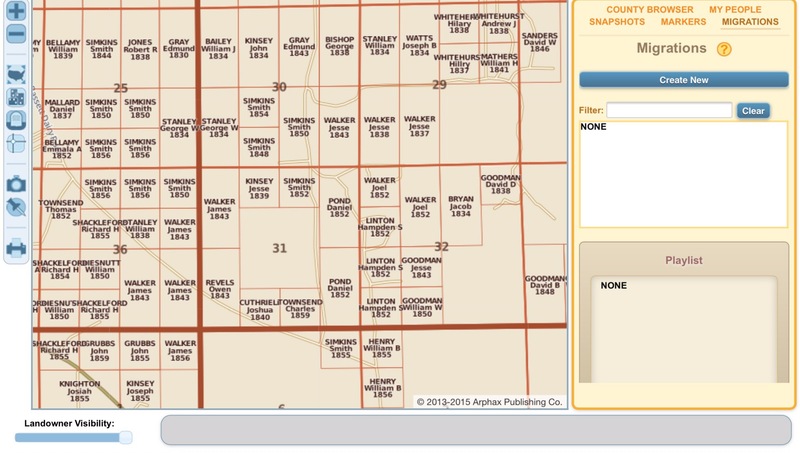 You’ll enjoy seeing the maps and even finding out who homesteaded where you currently reside. If you do genealogy researchh like me, you’ll be in hog heaven.